Prime Minister Andrew Holness is urging the Opposition to support a further extension of the States of Public Emergency in light of the significant gains from the enhanced security measures. Mr. Holness says the strategic use of security resources has resulted in a 21 percent reduction in murders compared to last year. 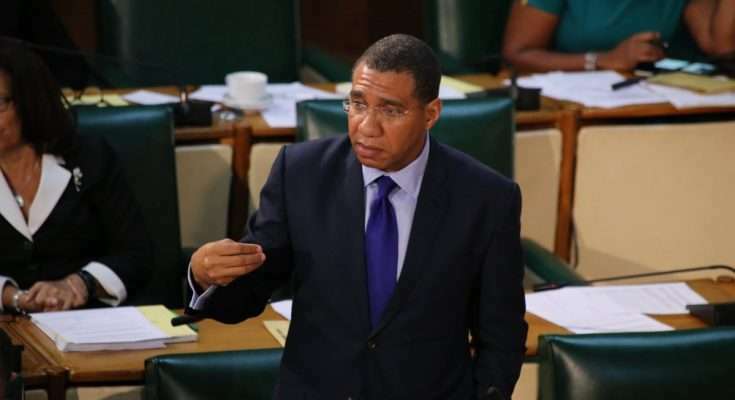 Prime Minister Holness made the call in the House of Representatives yesterday after the Opposition called for more time and information before debating the extension of the States of Public Emergency. He dismissed the suggestion that the assets of the security forces are being depleted due to the special security measures. He says they wouldn’t have had the same impact on murders had they been diluted across all police divisions. He says the Parliament must remain unified in the fight against crime. The vote on the Emergency Powers (Continuance) Resolution is to be taken at a special sitting of the House of Representatives this afternoon. Meanwhile, the Denham Town Zone of Special Operation, ZOSO, has been extended to January 2 despite the uncertainty over another extension of the States of Public Emergency. Leader of the Opposition, Dr. Peter Phillips, expressed his concern over the short notice given to debate the resolution on the States of Emergency. Dr. Phillips says there’re crime problems across the Corporate Area while resources are being focused in the ZOSOs and States of Emergency. While welcoming the reduction in crime due to the enhanced security measures, Dr. Phillips says this cannot become the only response. He’s also calling for measures to ensure that crime in areas outside the ambit of the special security measures doesn’t escalate.